Nina Simon is an independent museum exhibit designer with experience in participatory design, gaming, and social media. She is the principal of Museum 2.0, a design firm that works with museums worldwide using social technology to create dynamic, audience-driven exhibitions and programs. Recent clients include the Smithsonian Museum of Natural History, the Girls Math and Science Partnership, the Experience Music Project, and the Balboa Park Online Collaborative. 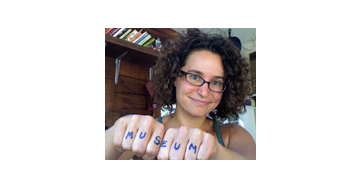 Nina is an adjunct professor of Social Technology at the University of Washington Museology program, and she runs the Museum 2.0 blog, which reaches 16,000 readers weekly and appears as a column in Museum magazine. Previously, Nina served as curator at The Tech Museum of Innovation in San Jose, CA, and was the Experience Development Specialist at the International Spy Museum in Washington, D.C.